Something that comes up from time to time is the need to eliminate duplicate General Ledger accounts. QuickBooks makes this process easy. NOTE: You can only merge accounts of the same type. Also, please know that this process is irreversible. As your data file grows larger some reports and processes may begin to run slower. One way to make QuickBooks more efficient is to set user preferences to clear all open windows each time you exit QuickBooks. QuickBooks provides an Audit Trail feature that allows you to see every change that is made to each transaction in your data file. New QuickBooks 2012 - Available Now!!! Small businesses can get more done in less time while managing their finances with best-selling QuickBooks financial software from Intuit Inc. (Nasdaq: INTU). 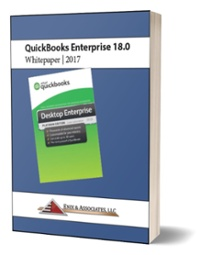 Solution Providers are local experts authorized to market, resell, implement and support Intuit QuickBooks Point of Sale Solutions. Solution Providers offer a range of professional services to ensure you find the right solution and have a smooth implementation.